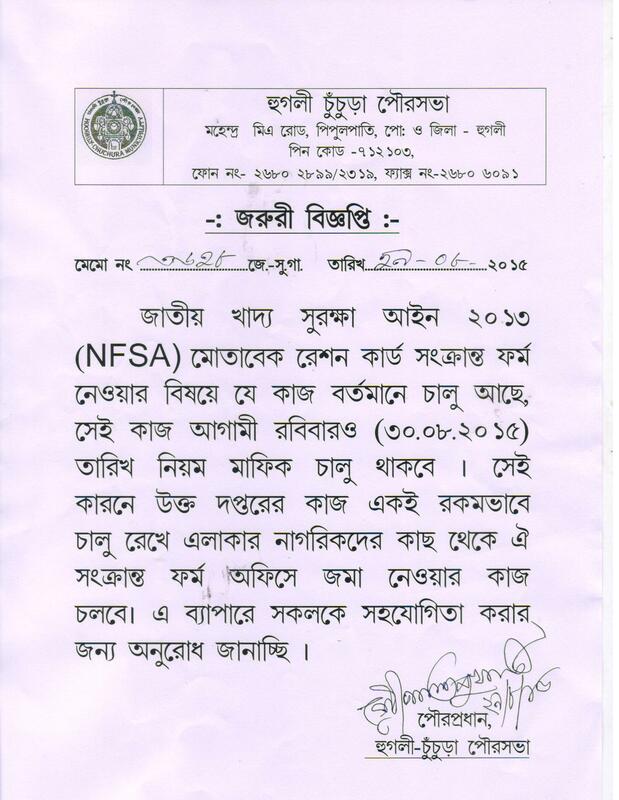 SERVICES( PORISHEBA ) TO THE CITIZENS OF HOOGHLY- CHINSURAH BY THE STREET LIGHT DEPARTMENT. 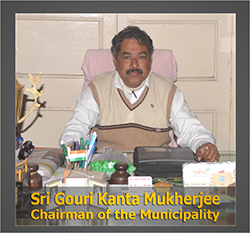 HOOGHLY – CHINSURAH MUNICIPALITY IS – 6992. 40 WATT & 60 WATT LAMP. · IN THE MATTER OF STREET LIGHT OFF / STOP SERVICE DUE TO VARIOUS REASON , CITIZENS ARE HEREBY REQUESTED TO SUBMIT A WRITTEN REPORT ( REPORT BOOKS ARE SEPERATELY OR WARDWISE AVLIABLE IN STREET LIGHT DEPARTMENT) IN STREET LIGHT DEPARTMENT OR NOTICED THE SAID MATTER TO THE LIGHT INSPECTOR OF SPECIFIED WARD FOR IMMEDIATE REPAIRING OR TAKING NECESSARY ACTION IMMEDIATELY. · IF ANY APPLICATION SUBMITTED BEFORE THE MUNICIPALITY REGARDING THE INSTALATION OF 60 WATT LAMP / S.V / METAL SET , THEN THE LIGHT DEPARTMENT WILL BE ENQUIRD THE MATTER & MADE A REPORT. NEXT TIME IT WILL BE INSTALLED AS PER THE DECESSION TAKEN BY THE C.I.C. 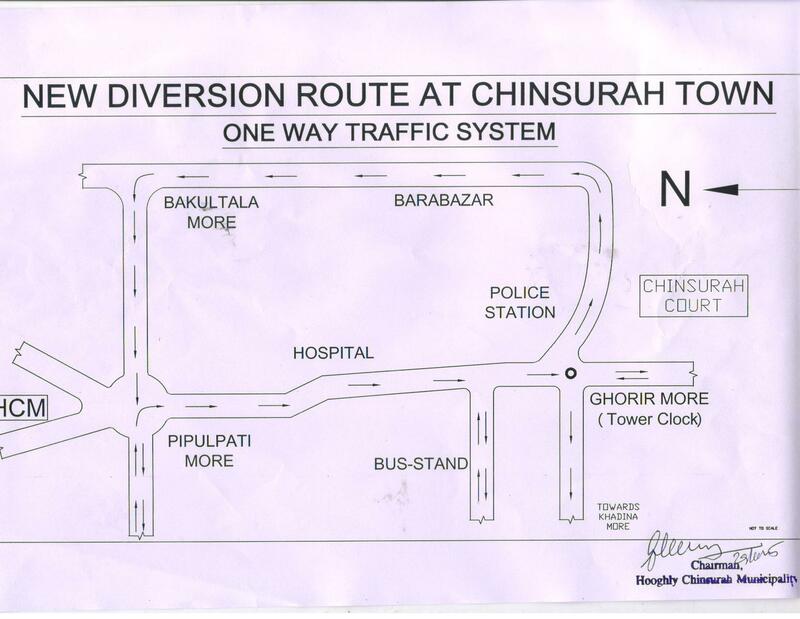 · THE STREET LIGHT DEPARTMENT ALSO INSTALLED THE LIGHT SET DONATED BY THE CITIZEN OF HOOGHLY CHINSURAH. · THERE ARE 750 PIECES OF GRIPS FOR ON / OFF THE STREET LIGHT. ALL THE GRIPS ARE BEING OPERATED BY THE MUNICIPAL STREET LIGHT DEPARTMENT. NOT ONLY THAT THE MUNICIPALITY HAS ALSO SUPPLY THE NECESSARY MATERIALS IN CASE OF DAMAGED OR BRUNT GRIP. · THE STREET LIGHT DEPARTMENT HAS ALSO REPAIR THE SHOT CURCIT / BURNT SWITCH LINE AFTER GIVING A WRITTEN INFORMATION TO W.B.S.E.D.C.L. VITAL INFORMATION REGARDING STREET LIGHT. NAME OF THE LIGHT INSPECTOR. 2) SRI AJIT KRISHNA DEBNATH. 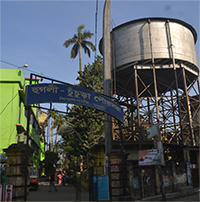 3 ) SRI TAPAN KUMAR MAJUMDAR. 17,19 & 21 TO 30. · EVERYDAY( EXCEPT HOLIDAYS ) THE STREET LIGHT DEPARTMENT IS START IT’S WORK AT 7:00 AM. , FOR OTHERS WORKS & SUBMITTING ANY LETTER THE OFFICE WILL BE OPENED FROM 10:00 AM. TO 5:00 PM.